One marketing advantage small companies can have over large firms is to target market segments that are underappreciated by their larger competitors. This may be especially true for smaller privately held firms that do not face the same level of financial scrutiny that confront bigger public companies. Facing less external pressure, small companies can gradually build presence in an underappreciated market segment even if profits are not initially very high. They can also often do this without bigger companies taking much notice. For relatively small or niche segments that do not show much growth potential, large firms are perfectly happy letting smaller companies handle these customers. Yet, sometimes large firms just do not understand these markets and cannot see the opportunity that lies there. They often unable see what smaller marketers see for the market segment. In particular, smaller marketers see that if underappreciated segments are targeted in the right way with the right marketing mix, these segments may actually have the potential to grow substantially and become very profitable. When these underappreciated segments do take off, firms that were first to address these customers are often well placed to ride the wave to higher profits. Large firms are often forced to play catch-up, principally by paying a premium to buyout smaller early entrants that were deeply entrenched in these markets. As this story points out, TracFone Wireless is an example of a company targeting an underappreciated market segment that bigger companies have overlooked. 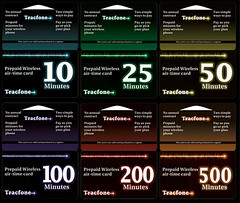 TracFone offers basic, no-frills cellphone service primarily aimed at lower income and restricted income consumers. While it is owned by a large Latin American telecommunication firm, TracFone is viewed by some as being a relatively small player in the U.S. mobile device market. However, this perception is quickly changing as the company is growing rapidly and has established a sizeable customer base. With a foothold in the U.S. market, TracFone is now beginning to expand its offerings and could one day be a threat in larger, more lucrative mobile device markets served by the major U.S. carriers. While wars between Androids and iPhones have dominated the headlines, TracFone has quietly built a U.S. subscriber base of 18 million customers. In one recent quarter, TracFone signed up more customers than Verizon Wireless. Quarterly revenue clocked in at nearly $800 million, growing at a vibrant 62 percent rate. What will TracFone need to do if it wants to appeal to the higher-end customer currently serviced by the leading mobile device carriers?